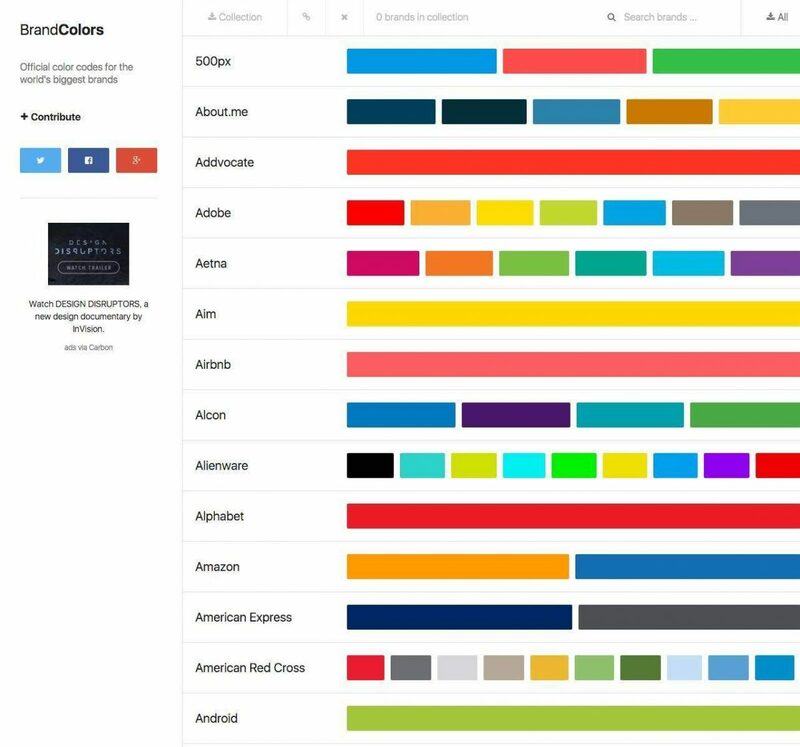 BrandColors looks pretty, but it actually serves quite a useful and interesting purpose for any collecting color codes by curious graphic designer. 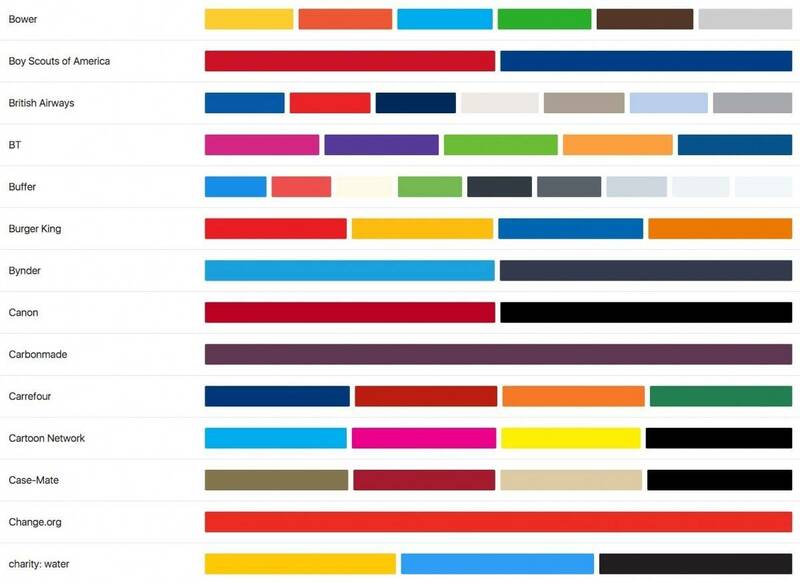 BrandColors boasts an impressive directory of major brands whilst referencing their distinctive brand colours as a tabbed colour swatch. 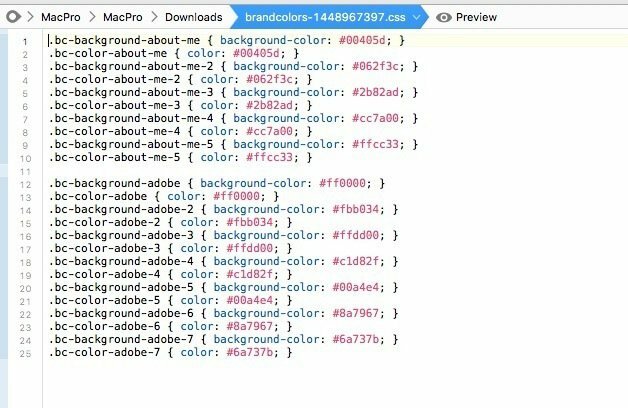 You can add as many brands as you like to a ‘Collection’, which you can then export out said brand colours to various file formats, including: ASE (Adobe Swatch Exchange), CSS, Sass, LESS and finally, Stylus. This makes using these referenced colour swatches a real breeze. 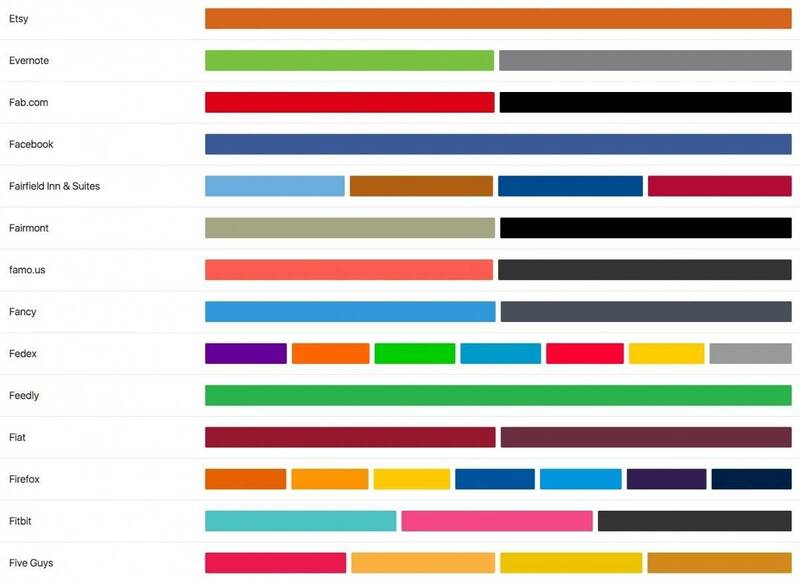 As an example, I ‘collected’ the color swatches of About.me and Adobe, then exported them to CSS and ASE. you can see the CSS format below opened up in Coda, and the ASE file was imported into a new swatch collection in Photoshop, also below.